When it comes to the best trekking experience in Vietnam, Sapa hiking trails should be added at the top of your list. Thanks to its mountainous topography and the diversity of the ethnic communities, Sapa undoubtedly delivers the most unforgettable trekking memories. The awe-inspiring natural scenes and the deep understanding of the ethnic culture are what linger on your mind for a long time. Because Sapa is the best place for hiking in the S-shaped country, there are many different trekking spots for trekkers to choose, ranging from an easy to hard level, or ranging from one day to multiple days. For that reason, it may be really confusing for first-time travelers to decide which treks to pursue and whether they join a trek group tour or solo hiking. To relieve this impending headache matter, the article can be useful. It focuses on trekking routes in Sapa so that you find it easy to make a final decision. When is the best time to trek in Sapa? If you make a plan for hiking in Sapa, just keep in mind that the weather plays an important role in the decision-making time. The condition of the weather can decide whether your hiking experience is nice or bad. For example, while the clouds can impede your view, the mud makes it hard and really unpleasant to go ahead a steep slope. In fact, the best time to plan hiking in Sapa is around March to May as well as around September to November. During March to May, the sky is clean and blue with sunshine, resulting in a very comfortable climate for trekking. In case, the beauty of endless terraces is what you aim to take photographs of, then September to November is a perfect time. What to expect from Sapa hiking journeys? Try imagining that you are trekking up to the breathtaking mountainous view with the clouds slowly floating right in front of your eyes and the freezing wind blowing your hair! It so awesome, right? That is just one of the many wonderful experiences Sapa has to offer. Especially, this is where tourists can enjoy “4 seasons in just 1 day.” After waking up, they feel a slight autumn breeze in the early morning, the freshness of spring after sunrise in the mid-night, blue summer skies in the afternoon, as well as a cool winter atmosphere in the evening. Setting foot in one of the Sapa towns, and you will experience a much more bustling vibe, in contrast to its peaceful landscape. There is no wonder why streams of tourists over the world gather here to explore. Along with shops and homestays, tourists also have a chance to take shots of the friendly ethnic locals. Discovering the Sapa hiking trails with/without a local guide bring you close to the real charm of town as much as possible. There are many types of trekking, from 1-day route trip to multi-day route trip, which may even show you the most highlighted views of Sapa. The period time from April to September is ideal to brace yourself for the stunning panoramic views of the terraced fields in Lao Chai or Y Linh Ho when the fields are in the rice season. Or you can find the hiking route to the spectacular waterfalls hidden inside Cat Cat village. Another option is to visit the home of the Red Dao and Black H’mong located in the Ma Tra village in order that you can learn more about the exciting mixture of these two different ethnic groups. 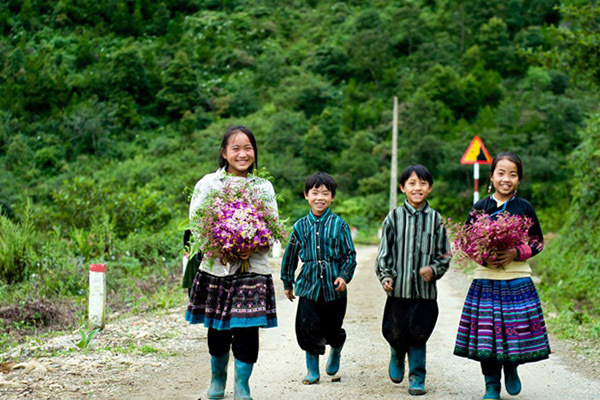 In Sapa, it is interesting to know that the H’mong is the biggest ethnic group, with a lot of meaningful traditions. The minorities love decorating their own clothes with numerous accessories, jewelry, and coins. For that reason, a distinct jingle is what you may hear whenever they move their classic garments. Feel inspired? 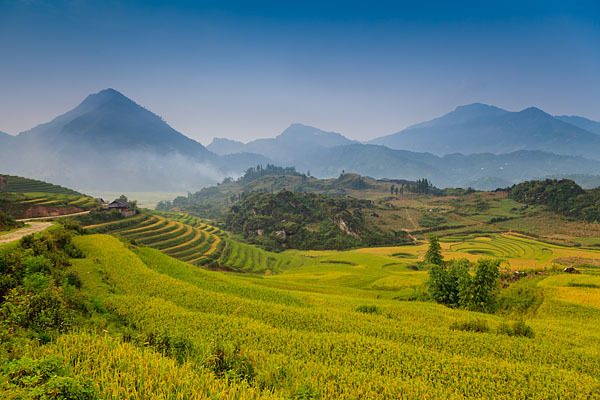 Don’t hesitate to plan a trek to Sapa and find yourself immersed in a truly amazing culture, while even surrounded by the awe-inspiring landscapes! Booking a Sapa trek tour and hiking without a guide – What is your option? Well, these ways have their own advantages and disadvantages. If this is the first time you make a Sapa trek route, then booking a tour with a guide can be highly recommended. In case you travel as a group and love thrilling adventure, take a hike on your own can be totally done. Just trust in your gut feeling! Trekking tours are mostly preferred by newbie travelers. The convincing reason is that they feel safe with the arranged itineraries as well as experienced tour guides who have a rich knowledge of the surrounding mountains and valleys and the ethnic cultures. Moreover, travel agencies not only offer different types of tours and homestays for travelers, but they also introduce training courses for the community. With various hiking options, you are freely able to either select a one-day trek to a nearby place or a multiple-day trek to other villages with the affordable prices. Some companies especially organize a non-fixed itinerary, meaning that you can choose where to go and what to do. After finishing the payment procedure, you will receive a confirmation with the information from a guide. At that time, you and this tour guide will discuss and end up with a suitable itinerary, which best serves your need. How cool is it, right? Hence, there is no need to worry whether the trek is too complicated or if you want to explore a spot a bit longer. Trekking Sapa Without a Tour Guide? 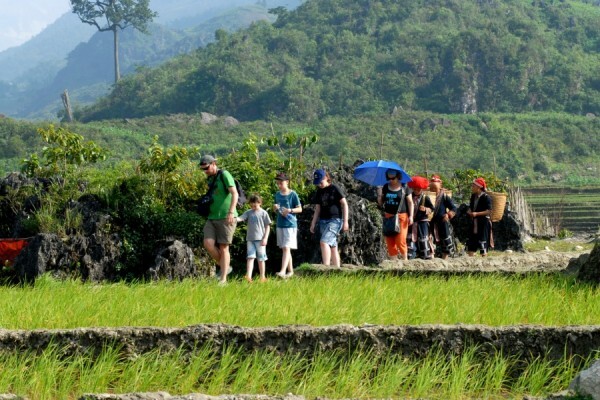 Hiking Sapa without a booking a tour is suitable for those who are on a budget or interested in trekking in style. The solo trip should be easy and fun as long as you have a decent sense of Sapa hiking trails and know your starting position. With tons of off-the-beaten-track spots, the town will surprise you for certain. It might even be the most unforgettable adventure you have to experience in a lifetime. And there is something important to remember before trekking in Sapa on your own. Firstly, it is quite easy to get lost because there is no specific map or route at all. However, think optimistically! You are an adventurer, so nothing can depress you, right? Just keep in mind that getting lost is also the key to surprises and excitement. Secondly, trekking Sapa without a tour guide can be safe if you notice that you should return before it’s dark. In the mountainous area, it is not easy to find the electricity system guiding your way. Therefore, in case you aim for a long-day trekking journey, bringing a flashlight is a must. Thirdly, a multiple-day hike in Sapa without a guide can be possible, but it will be more complex. In general, the tour guide will pay attention to what to eat, drink, and even where to stay during the night. As a result, during your solo trek, you should plan these details all by yourself. Make sure to prepare a detailed itinerary, such as packing both food and drinks in your bags, and locating homestays in the ethnic areas beforehand. The H’mong locals will ask you to stay with their families. No need to worry! They are very attentive, kind and easy to reach. Amazing things and a few challenges are what you can expect from a Sapa trek on your own. At that time, you will be able to discover smaller villages downhill, have a joyful time with the local kids, walk up the lush green rice fields as well as strolling on the less-traveled paths, where no tourist has explored before. What to do if you get lost? Don’t be afraid. Passers-by are always willing to lend you a hand whenever you ask them for help. Before embarking on your trek, you should get a local to write a note of the addresses of your homestay or hotel in Vietnamese or even in a local ethnic language. If you do get lost, don’t forget to show it to the local people you meet on the path to help out. For those of you who have experiences in directions, it shouldn’t be a big deal. Everything is easier in case you are doing a well-known hiking trail from Sapa to Bac Ha market or Ta Phin village. Route 1 (Sapa – Ma Tra – Ta Phin): This route is very perfect for those who are cultural enthusiasts. Taking a hike through these villages allows you a chance to learn more about how the ethnic communities live or do herbal leaves. At least one homestay in these villages is recommended. 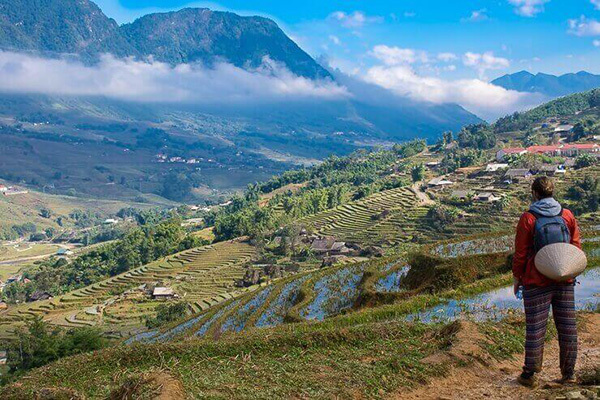 Route 2 (Sapa – Lao Chai – Ta Van – Giang Ta Chai): Route 2 is indeed an impeccable blend of nature and culture. While visiting the ethnic people in Lao Chai, Ta Van, and Giang Ta Chai villages, you also get yourself soaked up to the enchanting views of the rivers, hills, and valleys. Route 3 (Sapa – Silver Waterfall – Heaven Gate of Tram Ton): Nature lovers will not go wrong with the route. They have opportunities to witness the stunning beauty of terraced fields, the grandeur of Tram Ton pass, as well as the magnificence of the Silver Waterfall. 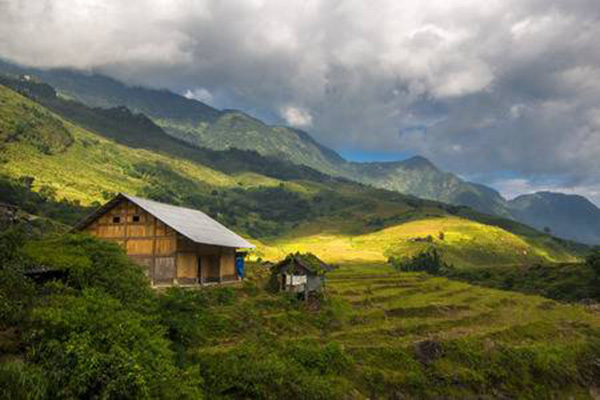 With the Sapa hiking trails given above, you will surely enjoy a great time. Trekking is definitely the most awesome activity for adventurers who fall in love with the thrilling feelings and find new experiences. For trek lovers, Sapa should always be on their list as the best things to do in Vietnam, for sure!